A woman was robbed by a group of thieves as she was having a seizure in a city centre street. Leonora Royce was lying unconscious when her mobile phone and money were stolen just off Portland Street, Manchester, at 01:00 GMT on Thursday. Mrs Royce said she would not let the crime, which was captured on CCTV, stop her working in the city. Greater Manchester Police said it had arrested a man, 46, on suspicion of robbery. 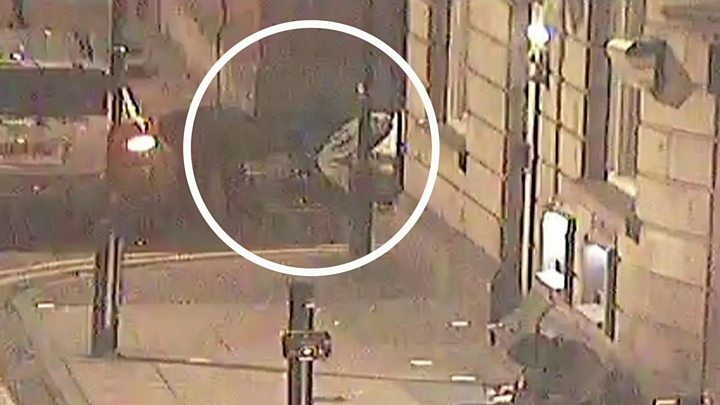 The incident was spotted by Manchester City Council CCTV operators who alerted police, and officers arrived at the scene within minutes. Mrs Royce, from Stockport, said she had picked a letter up from her office in the early hours of Thursday, and "then it gets a bit vague" when she went back into her car. She said she did not remember what happened "until police brought me round". Mrs Royce said she was told her seizure had lasted for about six minutes, and a group of people had taken her possessions. Her husband Jordan, who watched the footage, described the attack as "evil". He said: "She fell to the floor and had a seizure. At this point a group of people descended on her like the walking dead. "They literally clambered at her and clawed at her taking all her possessions while she was laid on the floor... at her most vulnerable. And then they even went into her car and tried to rob stuff from that as well." Mrs Royce said she had bruising and needed dental work. Her husband said the offenders could have caused her more serious injuries. "When someone is [having a seizure] even intervening can cause damage. It is an absolute disgrace." However, Mrs Royce said she refuses to live in fear after the attack, saying: "I won't let it change my daily life." "I'm not going to let it define me. I'm still going to work in the city."